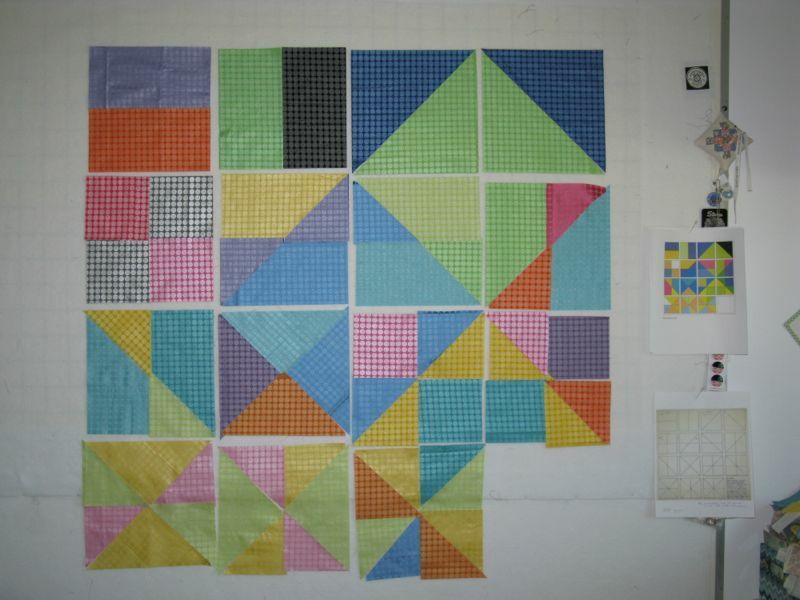 Sol Lewitt’s Patchwork Primer | OccasionalPiece--Quilt! I like the sentence “don’t worry about cool. Make your own uncool.” This year I’m not jumping on the cool bandwagons but attempting to do my own (maybe) uncool thing. You always broaden my horizons. 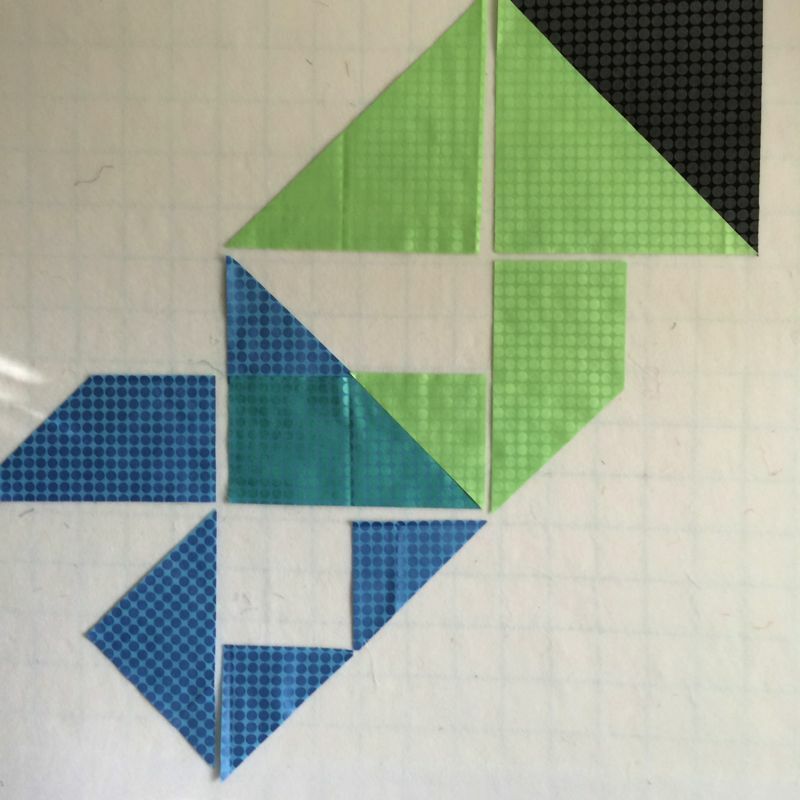 What an awesome exercise in creating! 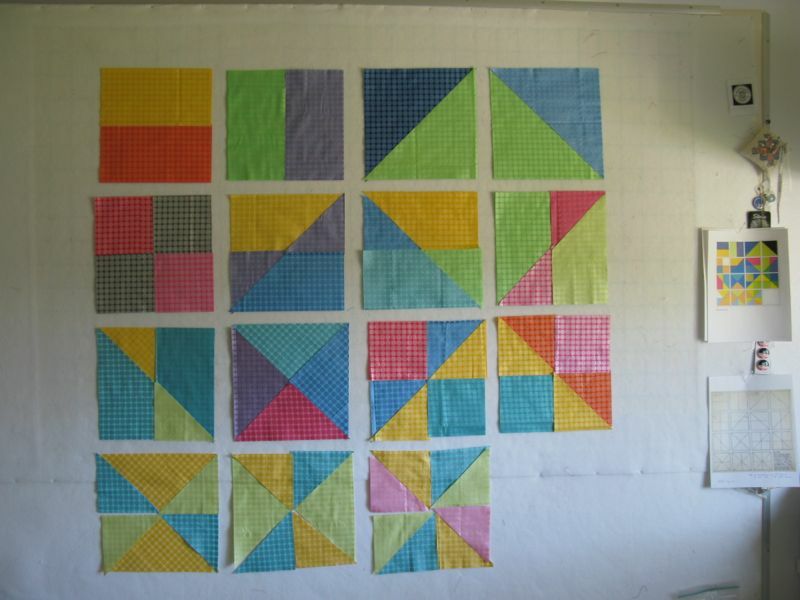 I see a block left on the design wall for perhaps another beginning? Sister in Philadelphia? Would give you a good reason to visit our guild in Lewes Delaware! 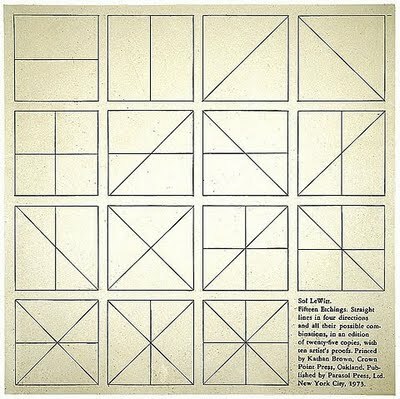 I love the Lewitt quote with all those present participles, and I think your final square solution is perfect. 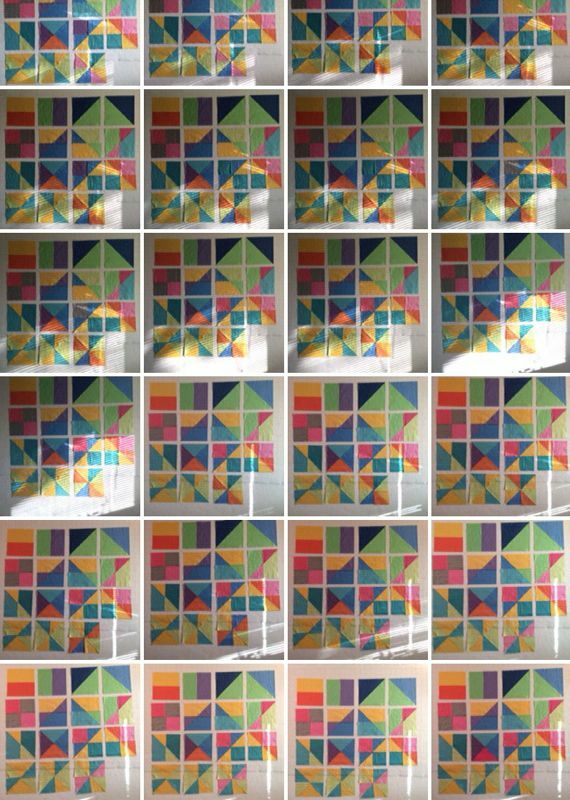 Oh, I have just discovered there is a Sol LeWitt exhibition on in Sydney at the moment! I wonder how I can get there…..? A most interesting project with an attractive result. 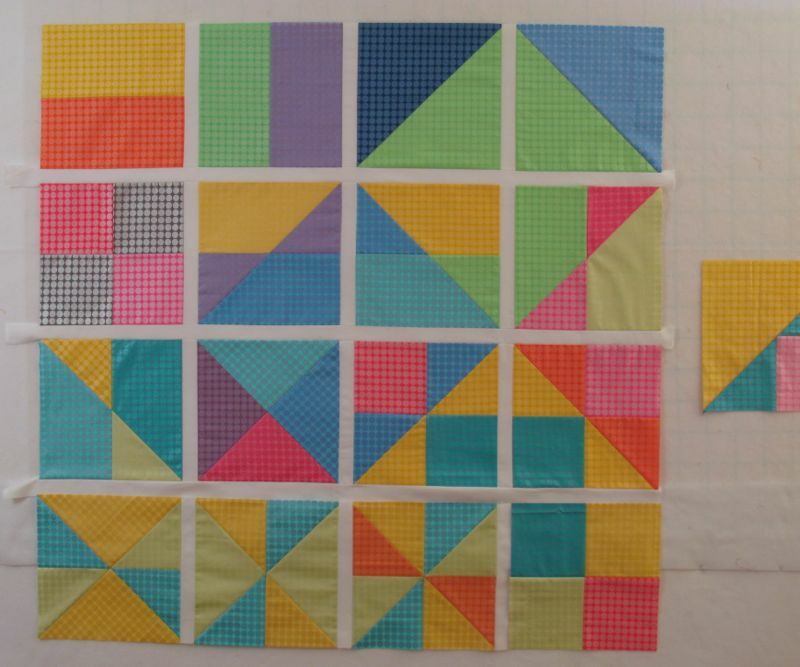 There is enough repetition and enough variation (always a hard balance for me). I really like setting up constraints then working with them–I suppose that is why (most) challenges appeal to me. I recently went to a ballet where the choreographer set up the constraint that dancing groups would always be touching each other. Created a stunning dance. (Alas I’ve forgotten the name.) Oh, and I did have to look up villanelle. Lit study is too far in my past. But I do remember the poem that illustrates it. 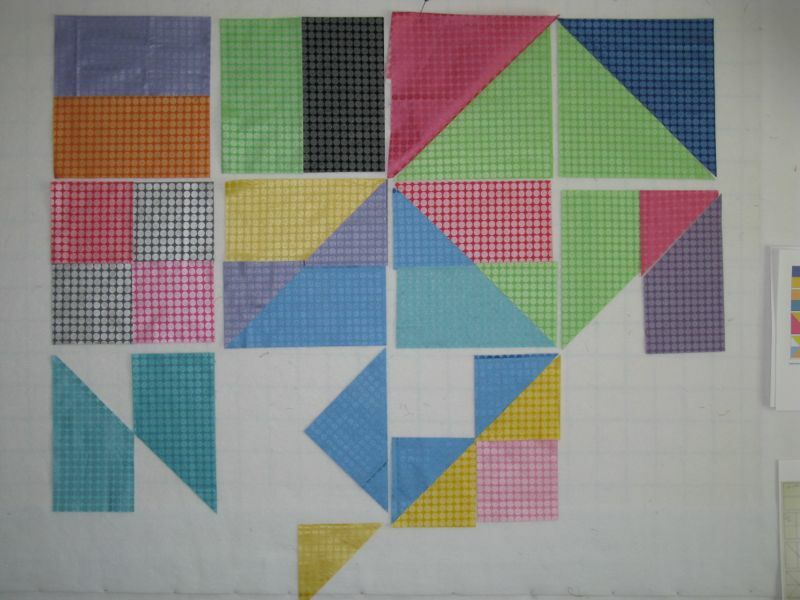 Pingback: Sol LeWitt’s Patchwork Primer | OccasionalPiece--Quilt!